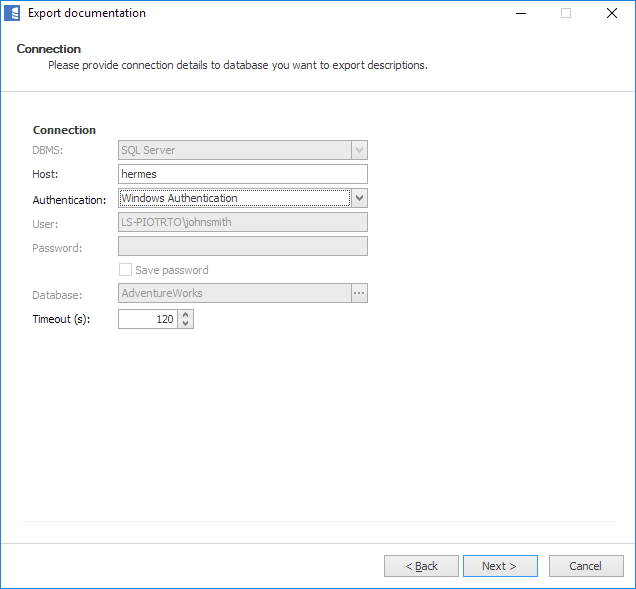 Dataedo allows exporting descriptions (from Description field) back to SQL Server database itself. 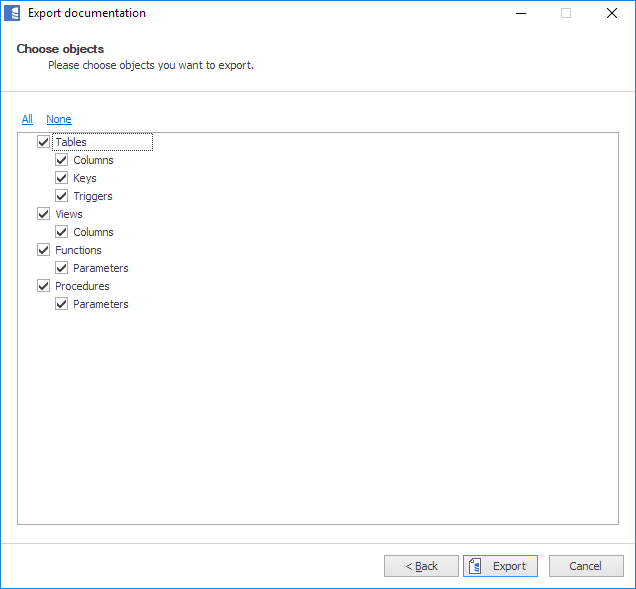 This is implemented as a separate task under Export documentation menu. 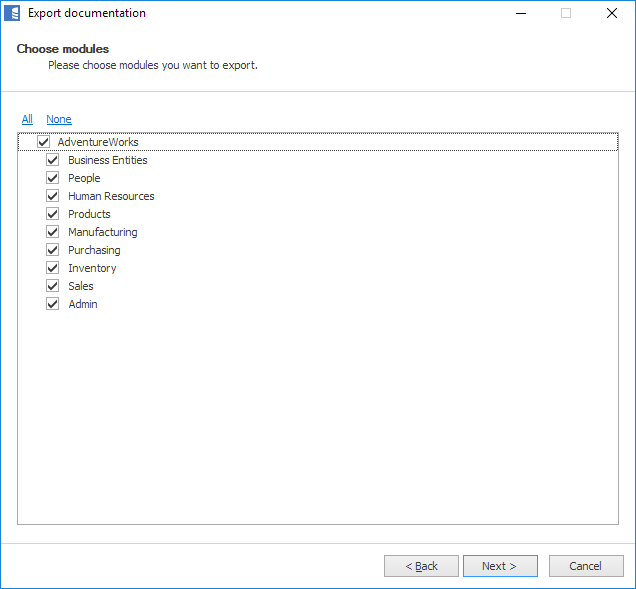 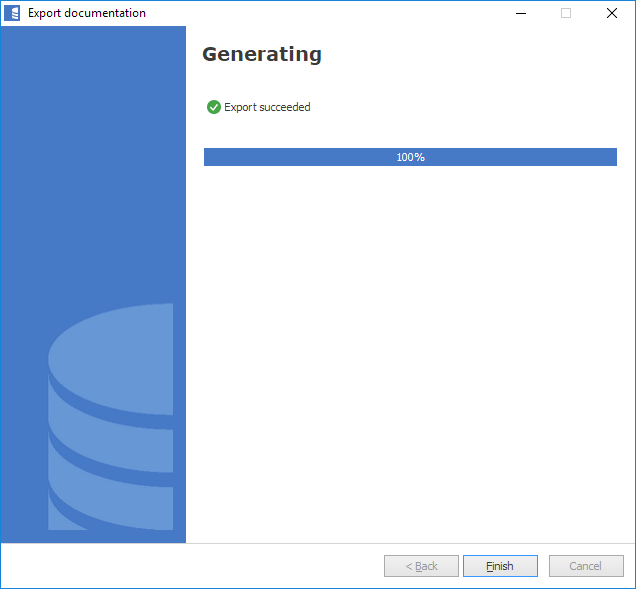 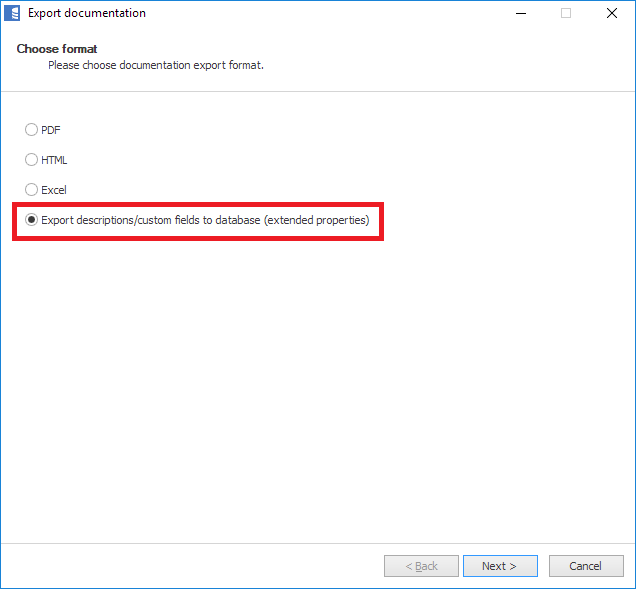 If you're exporting descriptions to SQL Server, and you have any custom fields in your repository, you will see an additional form for exporting custom fields to extended properties. 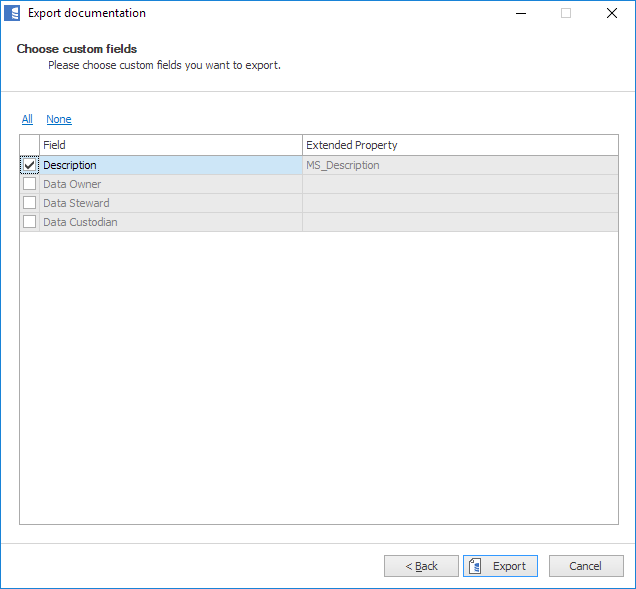 Let's skip it for now - to find out more read Exporting custom fields to extended properties.